Cucumbers are so gooood for you. They’re great for skin health and detox. They hydrate your body from the inside out. Here’s a super quick, easy, and healthy recipe for a snack anytime of the day. Cut cucumber in slices. Place slices on a plate. 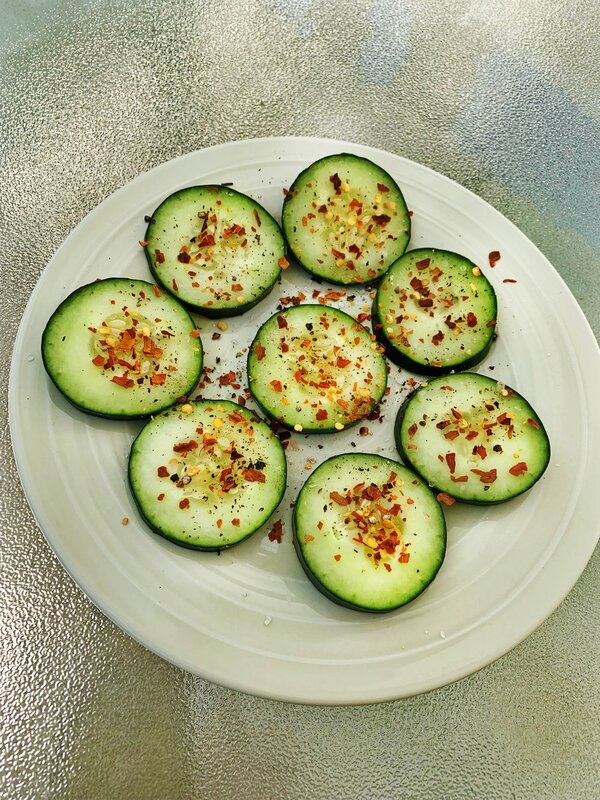 Sprinkle some Himalayan pink salt on top of the cucumber slices, then sprinkle black pepper to taste. Lastly add crushed red pepper. I like spice so I was pretty generous with the red pepper but add as little or as much as you like. And your done! Super simple and nutritious. It doesn’t get better than that. Enjoy!